Season 37: Christian Hubicki holds on tight to his girlfriend. The 32-year-old robotics scientist Christian Hubicki has been a strong player from the very start of the game when he, along with Lyrsa, pulled out a win for the Davids in the very first Reward Challenge. But all it took was a visit from his girlfriend for him to finally break down. After an adorable introduction to his "good friend Jeff" and some banter about his new beard, Christian reflected, "Having someone who gets you, who understands how you're feeling—even before you feel it—that's what is so precious." As they parted, Christian shed some serious tears. Even the onlookers were moved, with Gabby cooing, "That's true love." 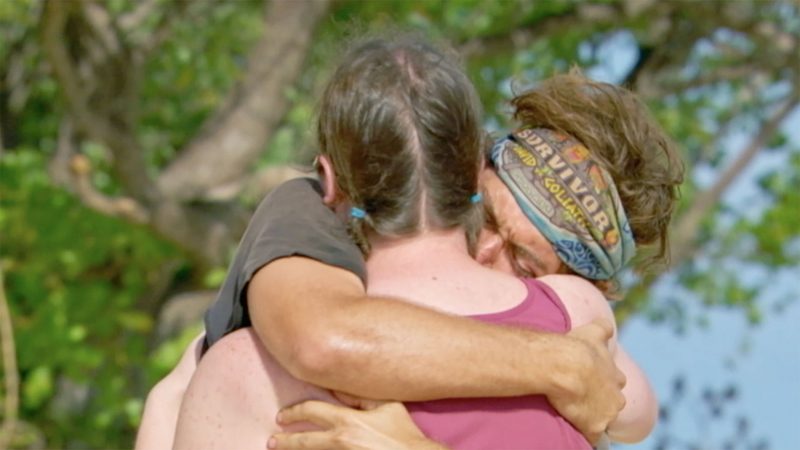 See Christian's cute and heartwarming reunion with his girlfriend on Episode 11 of Survivor: David vs. Goliath, "So Smart They're Dumb."